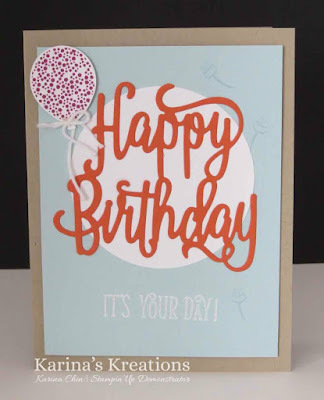 Karina's Kreations: Stampin'Up Happy Birthday Thinlit! 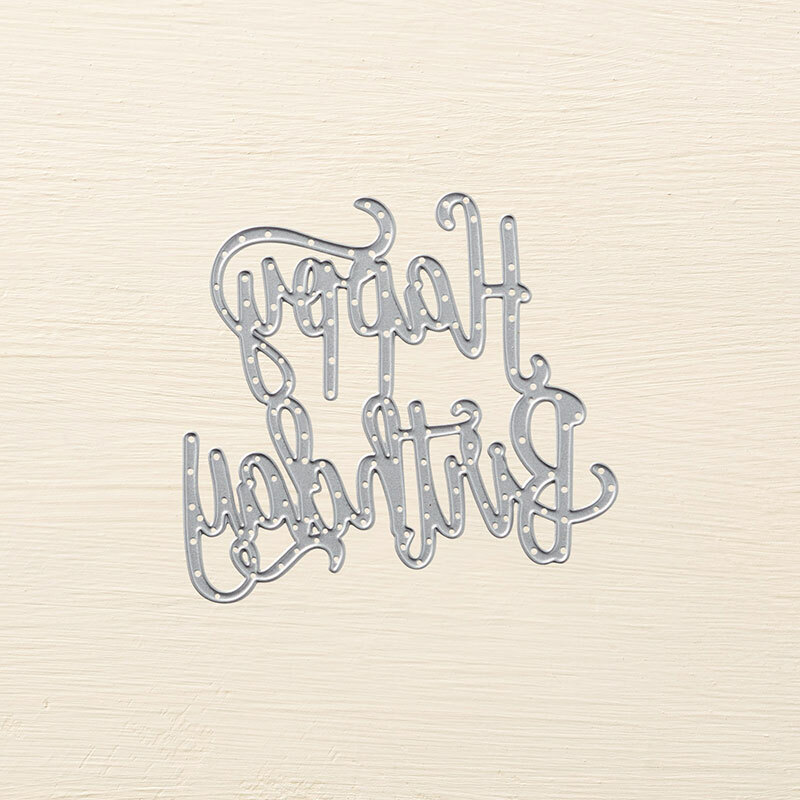 The Happy Birthday thinlit die is very versatile and perfect for birthday cards of any age. 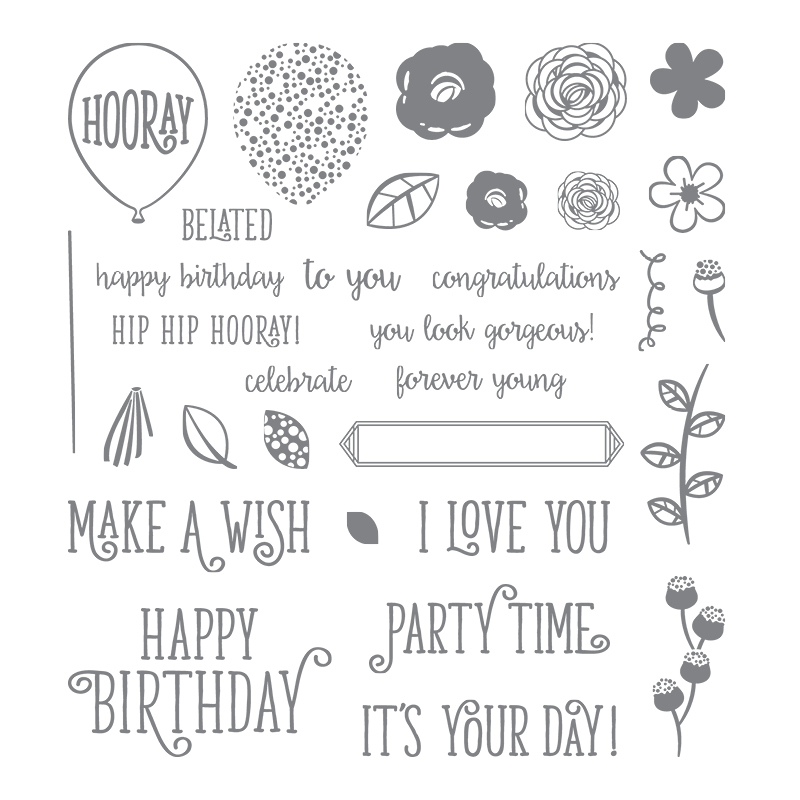 I cased this card from the annual catalog and I love how the die pairs nicely with the Happy Birthday Gorgeous stamp set. You can buy these two items as a bundle and save 10% #145301. The greeting was embossed with White embossing powder #109132 and Versamark ink. The balloon was stamped with Berry Burst ink and punched out with the Balloon Bouquet punch #140609.